This time of year can be troublesome with hayfever, allergies and Summer colds all threatening our running training and racing. Should you keep running? We sought out a sympathetic expert who could help us answer the question of whether or not to run if we suffer with hayfever, coughs and sniffles during the Spring and Summer months. Dr Juliet McGrattan is a GP in Lancashire, a mum of three – and a marathon runner. Here’s her advice. Running with hayfever isn’t harmful but can be very tough. Take preventative measures and avoid high pollen counts. 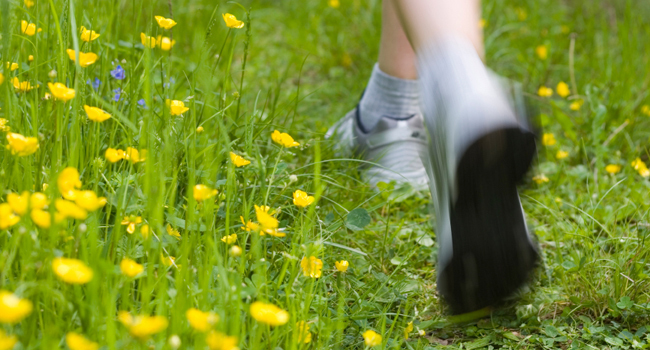 – Do your longer runs when the pollen counts are lowest. – Wear wrap-around running sunglasses if you get itchy eyes. – Try dabbing some Vaseline in your nostrils to keep out pollen. – Cover your mouth with a light scarf if it’s not too hot to do so. – Shower and wash your hair as soon as you get back from your run to remove pollen.